Chinese internet workers are a pretty efficient lot. They’re building cutting-edge software, founding world-class companies, and in their spare time, hacking a US website or two. But they are facing a problem familiar to engineers the world over – their offices are, erm, sausage fests. Conversations center around sport and politics, and a persistent whiff of testosterone hangs in the air. 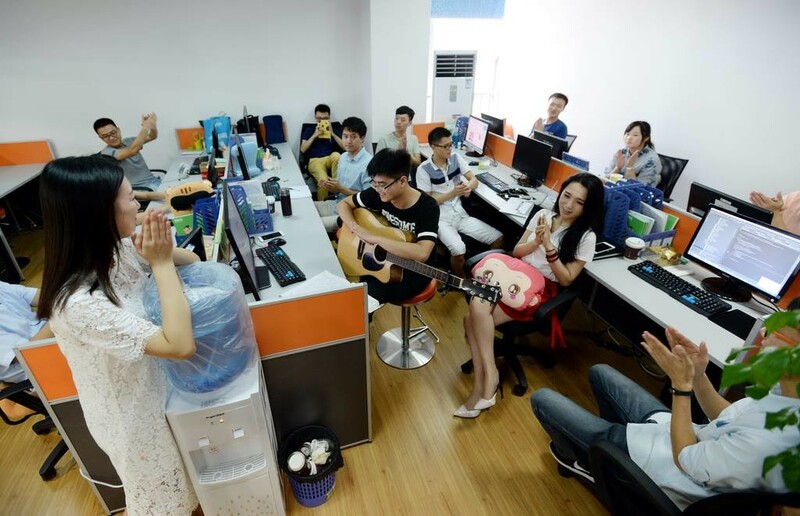 Feeling that this isn’t ideal for employee morale, and realizing they couldn’t be bothered to find women engineers, internet companies in China have come up with an idea – programming cheerleaders. These pretty young things spend time in IT offices, and are tasked with keeping morale high and helping create a fun work environment. Their job includes buying programmers breakfast, chitchatting and playing ping-pong with them. According to the HR manager of an Internet company that hired three such cheerleaders, its programmers are mostly male and terrible at socializing, and the presence of these girls have greatly improved their job efficiency and motivation. Also, one assumes that it doesn’t hurt to have a pretty shoulder to cry on when you can’t figure out how to fix that pesky race condition. While it’s still not clear if the trend will find widespread acceptance, engineers the world over will be watching future developments with great interest.